If you’re looking for a more intense gaming experience than what Angry Birds can give you, DOOM should handle the job quite nicely. After trying a few ports that are available, none compare to that of DoomGLES. 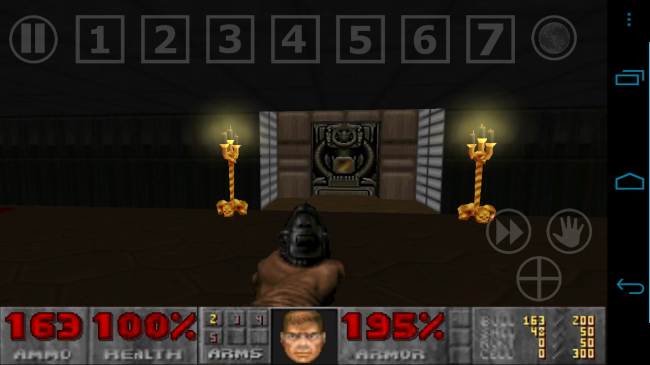 With added 3D effects, visuals and warmer lighing, this is by far the best port available for Android. For the small price of $2, it’s worth it. After speaking with the developer, he has future plans of making the game even better, so if you’re a huge DOOM fan, go check it out.